The Penn Hills Police Department has incorporated Twitter and Facebook into the list of tools we use to benefit the community we serve. Over the years, Twitter and Facebook have grown into two of the most popular sites on the internet. We realize that many people turn to social media when searching for current events and news happening around them. 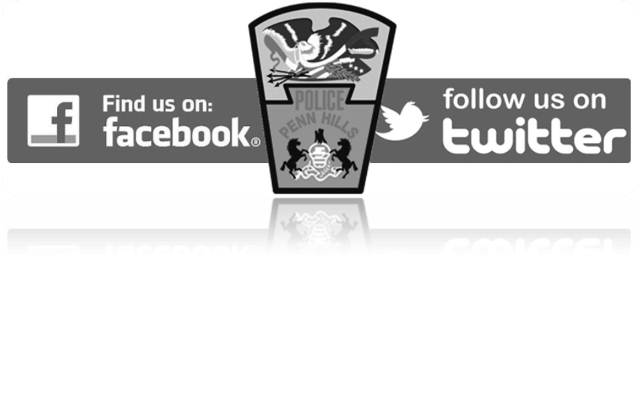 Our goal is to offer local Twitter and Facebook users the ability to view current events that are transpiring within the police department and the community. Social media has aided law enforcement agencies many ways in recent years, with users providing tips from postings that they viewed, to solving crimes from postings made by the criminals who committed them. 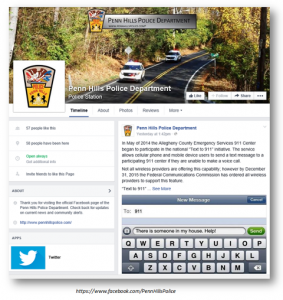 A notable example of how Facebook played a role in a major investigation came during the Boston Marathon bombings in 2013. A vigilant citizen was able to recognize that a photo posted by a friend contained the image of one of the bombing suspects. The FBI was then contacted and provided with that photo. At the time, it was one of the best pictures of the suspect that they had come across. 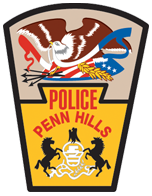 Community-oriented policing is a primary focus of the Penn Hills Police Department. 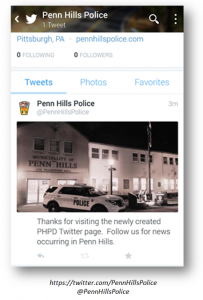 What better way to connect with our residents and visitors than through the use of social media. For more information on this topic, and many more, please find us on Facebook® and follow us on Twitter®.